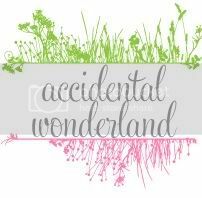 Accidental Wonderland: Blogging and Me. I'm determined to get back into blogging. I've had enough time off and ignored it all long enough. I have no real reason why I stopped. I wasn't too busy to blog, too lazy perhaps. I lost motivation. All the energy I used to put into blogging I put into derby - skating, watching, reading, learning. I thought the month long break between rec league rotations would get me blogging again but it didn't, we go back next week and I'm only just blogging now. I've been bad, ignoring every PR email and not logging onto blogger at all. To all I ignored I apologise. When it came to blogging I wanted to forget about it all, forget that it ever existed. I was sad, angry and tired that I didn't want to blog anymore. After putting so much into blogging and then to wake up one day and not blog was a shock. A sad shock. I love the community I have from blogging. The memories I've captured, friends I've met and opportunities I've been given are priceless and I'm so grateful for them. This morning I woke up wanting to blog. I may not find my rhythm for a while yet and may not be consistent but I feel I want to try. It won't be forced. I think I'm finding my voice again. I like it. My cat and me. Because I can. Just saw you pop up in my FB newsfeed and had to swing by and say Hawoooo. PS - Love that you are doing roller derby. I must confess that I was going to try out....and chickened out! Just let it happen and flow organically and you'll be just fine honey. YAY YOU'RE BACK!!! We missed you!!!!! I get this. Like you, I've been really into life lately, putting a lot of effort into different projects and straying away from blogging (not that I'm trying to say people who blog are not involved in life). As much as I love your blog, I also love seeing you really get involved in something you love. Also, how many times did I need to say the word love in that final sentence? I should not comment on blogs late at night when I'm tired!